Powered by Quorum, ProtectCloud HA provides comprehensive data protection and server availability by automatically maintaining up-to-date ready-to-run virtual machine clones of your systems that can run right on the appliance, transparently taking over for failed servers within minutes. ProtectCloud HA is designed for the Small to Mid-Sized Government and Educational institutions that require Enterprise application availability, but have limited IT budgets and resources. ProtectCloud HA offers operational continuity that bridges the gap between simple backup and traditional expensive and complex continuity solutions. True operational continuity is now a viable option for smaller organizations at an affordable price. ProtectCloud HA integrates the sophisticated technologies used by large enterprises into a simple, turnkey solution with both local and Cloud appliacnes. With ProtectCloud HA users are reconnected to applications and data in minutes rather than days or weeks. With simple and easy deployment included with the ProtectCloud HA offering, data protection and server availability can commence within hours of deployment. Local Availability -- dedicated Local Client Side Appliance(s) delivers local backup and server failover, mitigating the risk of a local rack, server or application failure. One-Click Recovery™ — after ANY storage, server or complete site failure up-to-date virtual clones of all protected servers are ready-to-run on local and Cloud appliances. Includes – deployment, integration and Florida based 24x7x365 support. 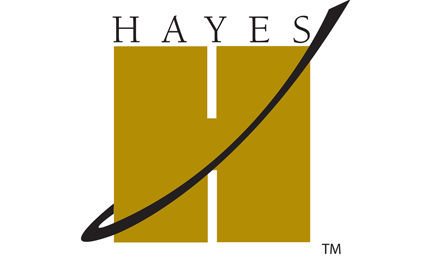 Critical applications are ready-to-run (or test) at a moment's notice, while safe and secure in a choice of Hayes Standard and Premium Cloud data centers. The Hayes ProtectCloud HA RV is an extention of the ProtectCloud HA LV appliance that provides everything a government or educational institution needs for immediate One-Click Recovery of all critical systems after any storage, system or site failure. The ProtectCloud HA RV appliance maintains a replicated up-to-date, ready-to-run virtual machine clone of critical systems that can run right on Cloud based RV appliance, transparently taking over for failed servers or the entire datacenter within minutes. The ProtectCloud HA solution can run servers locally or through the cloud with recovery time measured in minutes not days. With a dedicated ProtectCloud HA appliance in the Cloud, there is no reason to ship staff, hardware or materials to restore data or applications. With a click of a button, an organization can be back up and running in a matter of minutes in the event of a disaster. All data is transferred directly from the ProtectCloud HA LV Appliance to the Hayes Cloud location of your choice through 128bit AES encrypted sessions behind a 256bit VPN tunnel. There is a dedicated firewall (virtual or physical) isolating each individual custom virtual network. All connections to the RV appliance and recovery nodes are via VPN. Leverage any combination of Standard or Premium Hayes Cloud locations to find the perfect balance of cost and risk mitigation. ProtectCloud HA appliances are a virtual copy of any server – always on and ready-to-run or test. Daily tests are performed automatically on each server being protected. Perform a real-world DR test in minutes. Both the ProtectCloud HA local and remote appliances will easily create a segregated virtual LAN within the appliance to spin up virtual nodes for testing and reporting. DR testing with the ProtectCloud HA can be done once a day instead of once a year.